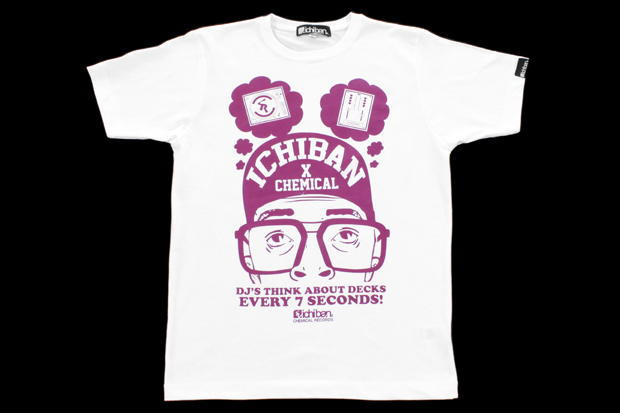 Bristol based record and clothing megastore Chemical Records team up with UK brand Ichiban for a collaborative T-shirt design, paying homage to the store’s leagues of DJ customers, and possibly the worlds most famous sneakerhead, Mars Blackmon. T-shirts come in Black, Red and White with a single colour print. 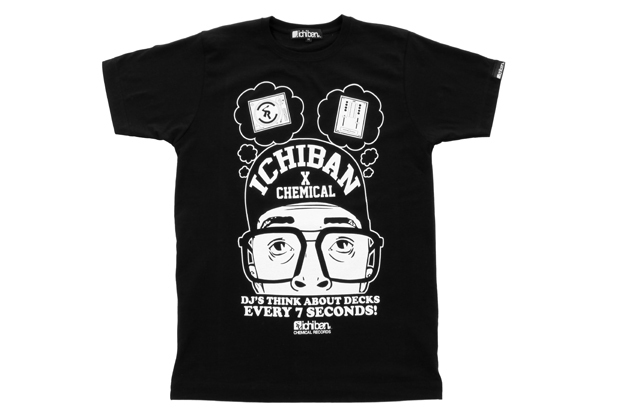 The design itself is lifted from a previous Ichiban design (“Men think about sneakers every 7 seconds”) and features a likeness of the Air Jordan king, Mars Blackmon, visualising his thoughts, this time dreaming about his deck set-up. 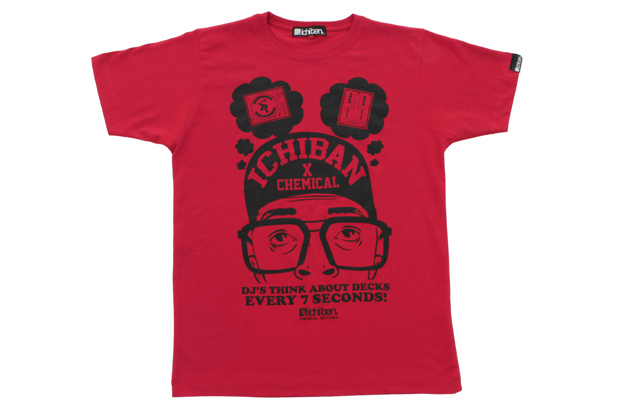 All in all a decent design, and I’m sure Chemical’s DJ following will be suitably impressed. My only criticism lies in the re-hashing of one of the brand’s older designs, which could perhaps highlight a lack of effort. The Ichiban collaboration marks the third in a series for Chemical, following those with Trainerspotter and Fenchurch. Pick yours up nor for £25 a go at Chemical Records. Thanks for the write up Suffocake. Just for the record – we believe it’s less a re-hash but more a remix of a classic design!